Most of the time when you play sports, you want to be on the team that is stronger, faster, and all-around better. It’s natural to want to win, and having an athletic team is definitely important. However, if you’re just learning how to play a sport, having one very strong team and one very weak team isn’t much fun. Neither team will enjoy the game. 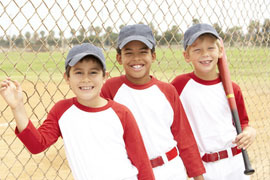 In order to help everyone get a chance to play, especially during practice, coaches try to level the playing field. They do this by splitting up the most talented players into two groups. That way, both teams have an equal number of players who play well and those who still need to improve. But when you level the playing field, you know that everyone will have to play hard. Both teams have the same amount of talent, so either side could win. 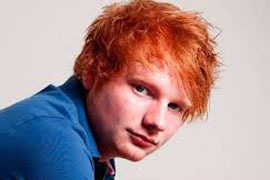 Singer Ed Sheeran said he leveled the playing field when he told fans he wrote a song about a mystery girl. Lots of people were making guesses about who the song was about. Although Ed didn’t tell anyone the girl’s name, he made the guessing game more fair by giving fans and reporters a hint. When you play sports, do you level the playing field? What are other life situations where you need to level the playing field? If you’re a parent it’s important to give attention to every child while there are at least two of them in our family. So we obliged to level the playing field all the time being attentive to our kids. This expression used to make no sense to me. Thanks to the persistence of my teacher at the Business English class, I know now that Americans love buzzwords like the one mentioned above. They truly believe buzzwords are essential to capture difficult business concepts. The internet has leveled the playing field for many small businesses. Wishing everyone great success personally and professionally. Have fun on the playing field! As of now i have been noticing that most of the tv shows are levelling the playing field for singers and dancers as they are coming up with a lot of reality shows which provide a equal opporunity to all to prove themselves. It is important to level the playing field for exam, but sometimes a little of them cheat in it.